Original article is by Karen E. Butler and can be found here. Newsweek magazine online recently published the Castle Connolly Medical LTD list of “Top Cancer Doctors.” Medical oncologist Jennifer Garst, MD, professor of medicine, was among those named to the 2015 list. 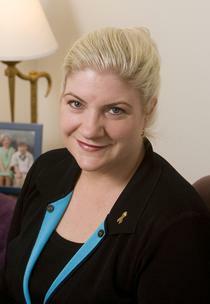 Garst, who practices at Duke Cancer Center Raleigh, received her medical degree in 1990 from the Medical College of Georgia School of Medicine. She completed her residency in Internal Medicine in 1993 at the University of Texas Southwestern, Parkland Memorial Hospital. Garst’s clinical interests include lung cancer (non-small cell and small cell), lung cancer as a women’s health issue; lung cancer clinical trials and clinical research; general hematology and medical oncology; supportive care for lung cancer patients; multimodality treatment approaches for lung cancer; lung cancer vaccine clinical trials; customized and personalized approaches to managing lung cancer; lung cancer screening and high-risk evaluations; thoracic oncology, including mesothelioma, carcinoid and other rare malignancies involving the chest and lungs. Her research focus centers on non-small cell and small cell lung cancer—intervention, epidemiology and treatment. The Top Cancer Doctors list is compiled via peer nominations and internal follow-up investigation. The Castle Connolly physician-led research team reaches out to leading specialists, chairs of clinical departments and vice presidents of medical affairs, for additional information regarding the top specialists. Each year, Castle Connolly receives nearly 100,000 nominations.